I created my own “Seigaiha” Japanese Wave Pattern for silk fabric. 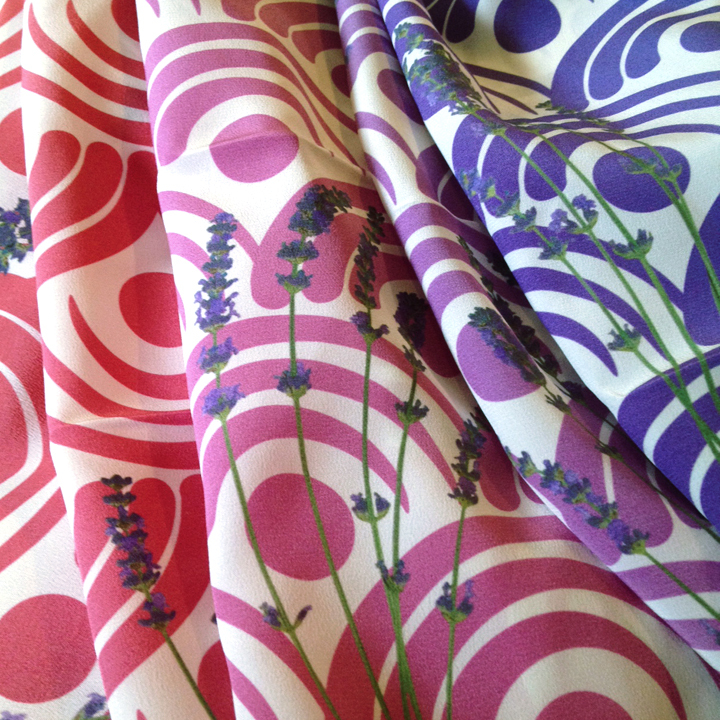 This is the red to purple design covered with fresh stems of Sequim lavender that will become silk scarves. I’ll be selling these during the Sequim Lavender Farm Faire at Purple Haze Lavender Farm July 19 – 21, 2013.